Unless you live directly on the trail system, you’re going to need to transport your snowmobile to get out riding. 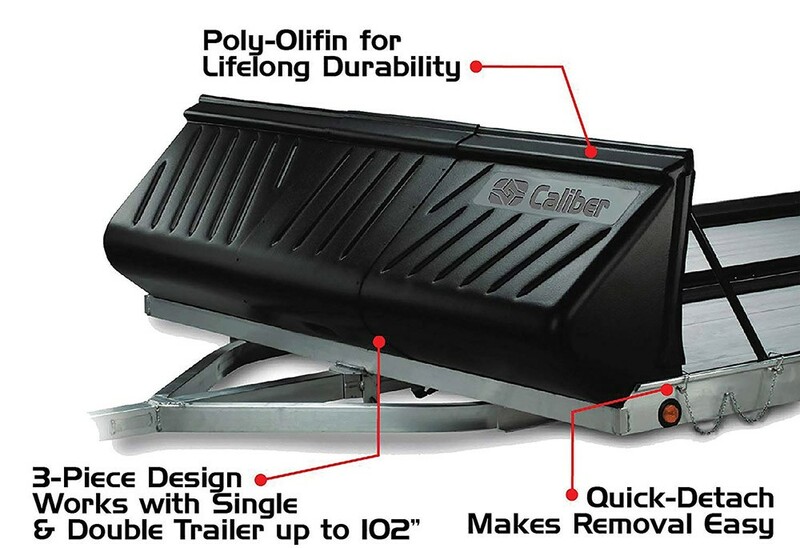 Here’s some tips for finding the best snowmobile trailer for you. Whether you can walk out the door and hit the trails, or you have to travel for hours to find snow, everyone with a snowmobile really needs a good trailer to haul the sled. Even if you are lucky enough to have a good trail right next to your house, sooner or later you’re going to want to travel. That’s the thing with snow. It might be great where you are, but it’s bound to be better somewhere else. Not to mention having the need to get it to the dealer for service, or, even better, to trade it in on a new sled. After the sled, the trailer is the next big expense for many of us. But how do you pick the best snowmobile trailer for you? Here’s some suggestions that might help you decide which route to go. There are two basic types of snowmobile trailers – open and enclosed. Each has some benefits as well as some negatives. Which is best? That’s up to you to decide, and there are some factors that can help you make that decision. Open trailers are exactly as they sound. The top of the trailer is completely open to the elements. Open trailers are generally easier to pull as they aren’t as affected by wind. 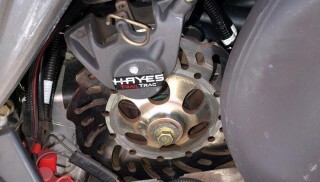 And depending on size, the weight savings can be significant. As an added bonus, open trailers are the more economical choice , depending on size and materials. On the negative side, your sled is completely exposed to rain, snow ice, slush, salt and road dirt. Enclosed trailers are either aluminum or fiberglass. The fiberglass trailers are almost always an aluminum trailer with a fiberglass top that covers the sleds. These trailers are usually only a two-place. Bigger aluminum, enclosed trailers are a great way to haul your gear, as well as multiple sleds. You can usually walk into them as the roofs are high enough. Your sled will be protected from the elements and be as pristine when you reach the trails as it was when you pulled it out of the garage. On the down side, these are heavier trailers, even with the aluminum construction. They will be affected by the wind, too. There are two materials used for open trailers – steel and aluminum. Steel snowmobile trailers have the advantage of being cheaper, but there is a weight issue. The bigger the trailer, the more it’s going to weigh, and that goes up fast, especially when you add a second axle. Steel trailers also have to deal with the enemy of all things iron – rust. You can opt to spend more for a galvanized trailer, which uses a zinc coating to help fight rust. But again, you’re going to spend more. 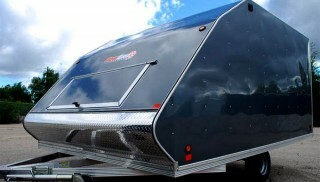 Aluminum trailers are lighter, but cost more up front. One of the ways that manufacturers fight the cost issue is by using an aluminum frame and adding plywood decking. This keeps the cost and the weight down, but wood rots eventually, especially when used to haul heavy sleds with studded tracks. The studs have a tendency to tear the wood up after a few seasons. As with anything, you can always add some accessories that can help make either style of trailer better. Here are a few things that can make a big difference in your sledding fun. Salt shields can help keep the road goo and nastiness from accumulating on your sled. Many are plastic and when paired with a handlebar cover, can keep your sled pretty clean as you travel to find the best snow conditions. 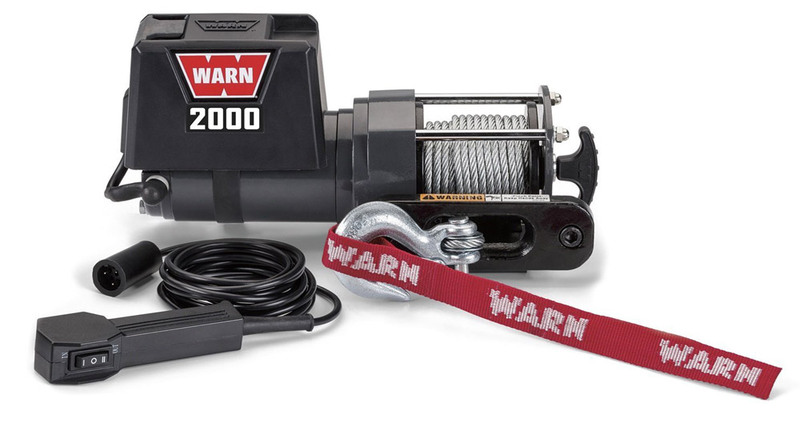 Trailer winches are a solid addition to any trailer. Instead of having to muscle the sled up the ramp and to the front of the trailer, a winch can help pull the sled up and secure it to the trailer, both good things. If you use an enclosed trailer, the winch can mount directly to the floor. In an enclosed trailer, the best way to mount the winch is in a box at the front of the trailer to keep it out of the elements. 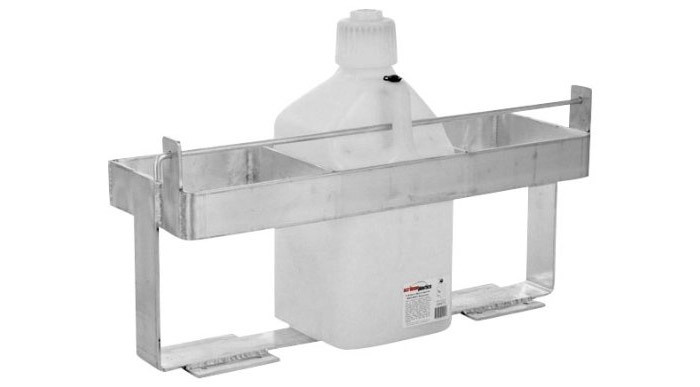 Fuel can racks are a solid way to secure your gas cans in the trailer and keep space in the truck free for gear. They can be mounted in enclosed trailers as well as on open trailers.